After polarizing many critics and fans with an abrasive and self-serious third album, where do you head next? If you are M.I.A., you continue to challenge your audience by releasing a free downloadable mixtape on New Year’s Eve. Composed of both reworked tracks from /\/\/\Y/\ as well as new, unreleased material, Vicki Leekx is actually less of a mixtape and more of a 36-minute DJ set. Though the download came with artwork that lists track names for these short segments, it was distributed as one relentless track, and it is no doubt meant to be listened to as such. Once the beat sets in a few seconds in, it never lets up for over a half hour with flurries of clattering noise and sound effects barraging the listener. If this sounds similar to /\/\/\Y/\, it should be noted that this loose collection of songs bring back something sorely missing from her last album: fun. Despite the title’s obvious reference to the WikiLeaks scandal, Vicki Leekx is rarely political, instead opting for dance floor chants like “You can have my money, but you can’t have me” and “Live fast, die young. Bad girls do it well.” There is still sinister and socially conscious rumblings in the music and lyrics, but they don’t draw attention to themselves, similar to that of he first two albums, where the politics gave weight to the songs instead of weighing them down. 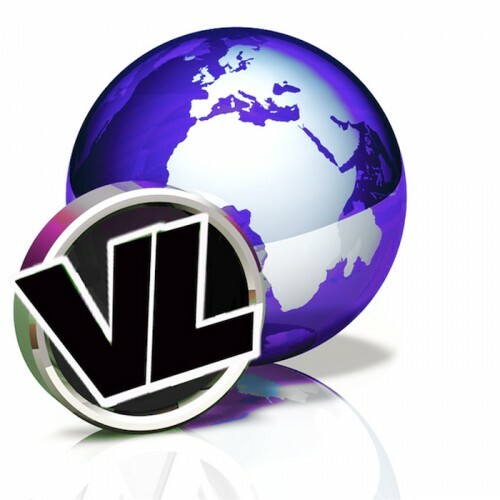 It may be just a mixtape, but as mixtapes go, Vicki Leekx is quite enjoyable, ending 2010 on a good note for this fiery and provocative artist. Since the release of her second album, 2007’s Kala, M.I.A.’s career and personal life went through some seemingly sudden left turns. She toured heavily, became something of a star based on the success of the single “Paper Planes,” was nominated for an Oscar collaborating with A.R. Rahman on the music for Slumdog Millionaire, and gave birth to her first child. 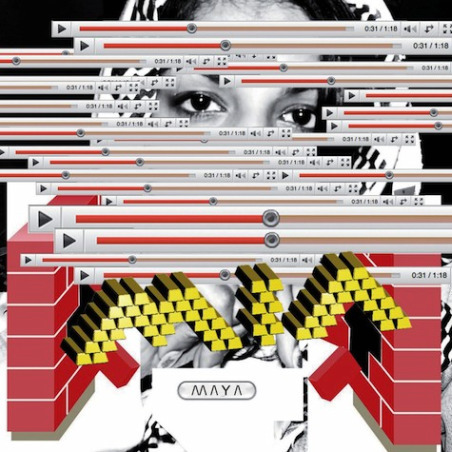 But all of this didn’t seem to stifle the ever-industrious M.I.A., who began preparations for her third record /\/\/\Y/\ (pronounced “Maya”) very shortly after everything settled down a bit. A commentary on information overload in the digital age, /\/\/\Y/\ accordingly sounds just about as hectic as her last few years have been, positively brimming with blistering noise and pounding beats. While this description is not dissimilar to the sound of Kala or even moments on Arular, there has been a bit of a change in approach. Returning to long-time collaborators Diplo, Switch, Blaqstarr (and throwing in dubstep producer Rusko for good measure), M.I.A. still creates club-ready numbers that bend genres together, but the globe-trotting playfulness of her past work is significantly downplayed with a larger focus on experimental techno. Of course, this doesn’t mean /\/\/\Y/\ is no fun at all. In fact, a few of the album’s best tracks push her music to new, exciting limits. “Teqkilla” is six minutes of overlapping sirens, vocal chants, and found sounds that somehow remains purposeful, and the clattering “Born Free” verges on industrial with its aggressive pulse. The pop songs that break up the album don’t play it safe either: “XXXO” is dementedly catchy dance pop, while “It Takes A Muscle” is a not-bad-at-all ragga. Yet, often times, M.I.A.’s sound experiments result in songs where her reach exceeds her grasp. “Meds And Feds”‘ metal-infused ruckus is at first startling, then numbing, then boring. Meanwhile songs such as “Tell Me Why” and “It Iz What It Iz” are interesting in spots but meander far too much to make any lasting impact. While the highs on /\/\/\Y/\ are bracing, they don’t always match the quality of her best work. M.I.A.’s heart is in the project for sure, but the album sometimes sounds a bit too self-indulgent to remain consistently engaging.